Flavored Ice Cubes - A recipe from Savor California, the online showcase for extraordinary gourmet foods and beverages from California. Mix together the syrup and water. 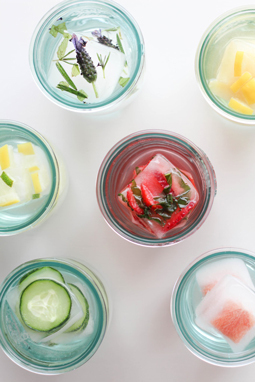 Add fruit, herbs, and / or citrus peel, depending on the beverage the ice will be used in.